Your blog is a terrific vehicle for engaging your audience and driving more prospects to your offers, but only if people can find it. A well-managed blog that gets little traffic or readers is a sad state of affairs. The last thing you want to do is put all your effort into creating blog post after blog post only to realize that your efforts have all gone in vain. 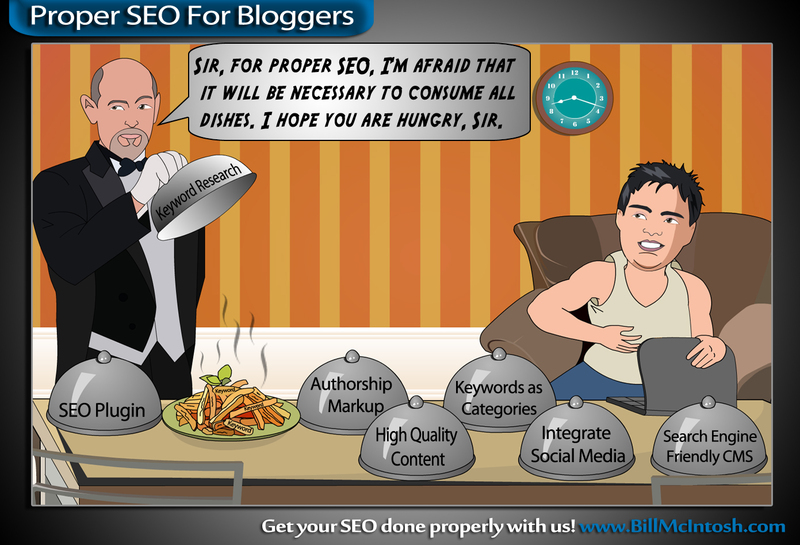 What you need is proper SEO for bloggers. With a few SEO tips, you can increase your rankings in the search engines and get your blog noticed. These search engine optimization tips should help you iron out any kinks so that your blog reaches prominent status in the SERPs, thus driving more traffic, readers, buyers and loyal subscribers. As with any online campaign, the proper keyword research must be completed if you hope to achieve optimal SEO status. Blogger SEO is very similar to the optimization practices that you would use on a static website. You must ensure that you use your keywords throughout – Your Title tags, meta data, in your copy, as internal links and so on – and this requires the proper research. A good trick to use is to find blogs that represent your direct competitors. That is, the blogs that you hope to steal readers away from. Then, go to the Google Adwords keyword research tool. Within the keyword tool is a box to insert URLs. Insert your competitor URLs into that box and see what keywords you come up with. Of course, you may want to conduct extra research to make sure you’ve uncovered every SEO stone, but this is a good guideline to get you started for blogger SEO keyword research. SEO for bloggers used to be constructed purely from HTML. This became troublesome when you wanted to use the same blog template for multiple blog entries, archive the ones you’ve already written and showcase your most popular ones. Many bloggers did it back then, but today it’s much easier with content management systems or CMS. These systems allow you to manage a blog with minimal code knowledge or effort. A CMS like WordPress is already coded to act like a blogging platform. You buy the URL and hosting service, upload WordPress and the structure is already there. You can create posts, pages, upload media, change the appearance of your blog, get into the editor to manipulate your blogger SEO directly and so much more. Once you have your WordPress blog set up, you will want to engage in on-site SEO for bloggers. This involves filling out your meta data. Instead of going into the code editor within WordPress, we are going to take the easy way out and download an SEO plugin. WordPress is designed to be used right out of the box. Developers wanted to make it as versatile as possible so that it could be used by basically anybody, so they coded a very general CMS system. Bloggers can then customize the CMS with plugins. Find an SEO plugin that gets the best reviews and install it to your site. This will make SEO for blogging incredibly simple. Many plugins designed for blogger SEO allow you to write the title and meta data for every post right there in the dashboard. Some create automatic internal linking structures so that you don’t have to worry about it. Once your plugin is installed, you’ll be ready to write your first post. Earlier we said that there is nothing worse than a well-managed blog that gets no visitors or readers. Likewise, nobody wants to see a prominently ranked blog that offers very little content value. When someone clicks on a search engine link these days, they expect to find unique content that is written by an authority on the subject. They don’t want to find ads, offers or anything that’s trying to sell to them. They want information and they want good info if they are going to spend their online time reading it. Put some effort into creating content readers will want to actually read and integrate your SEO keywords throughout. As a general rule for blogger SEO, you should adhere to the following rules. Also, use plenty of multimedia with your keywords as their title-tags. The search engines are relying on social media to tell them what’s popular more than ever before. Use this to your advantage by integrating your Facebook account, Twitter and any other social media you use right into your blog. Use a plugin to make it easy. Once your social media sites are connected, you will be able to share each blog with your friends and followers, thus increasing your social clout and your readership. Speaking of social media, Google is putting a lot of emphasis into its Google+ platform, which it has now combined with Google Places to form Google Local. By having a Google+ account and by completing the steps involved with Authorship Markup, you can have your Google+ photo, your name and links to your other content right in the search results. Your results will look bigger, search users will see you as an instant authority and you’ll receive a higher CTR than results that aren’t using Authorship Markup. Every time you post a new entry, make sure you categorize it. WordPress makes it easy to create categories. Use the keywords you came up with during your blogger SEO keyword research and you’ll gain even more prominence. SEO for bloggers is crucial if you want readers to pick your content over the competition. Follow these steps, write entries that people enjoy reading and you will have blogger SEO in the bag. 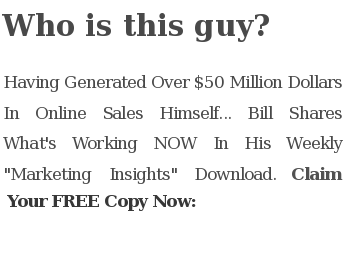 This entry was posted in Blogging and tagged blogger SEO, seo, SEO for bloggers by Bill. Bookmark the permalink.